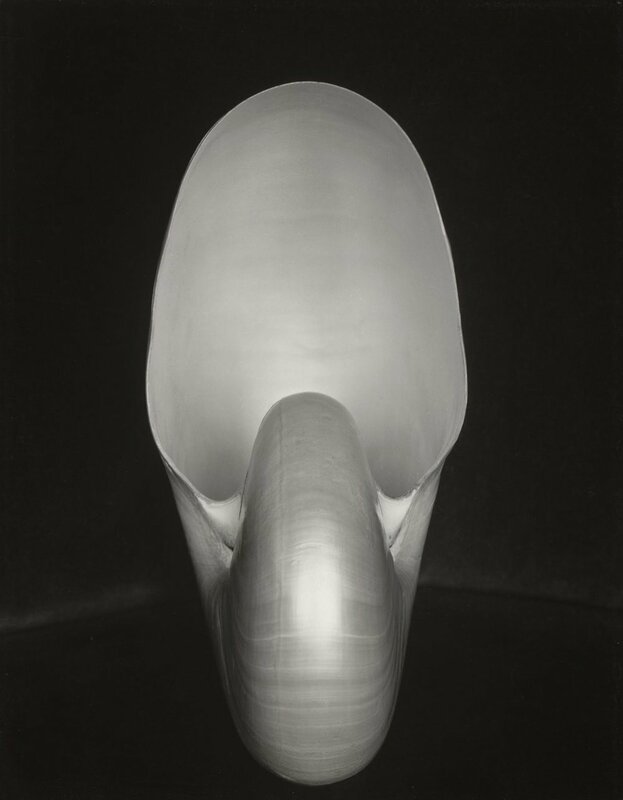 One of the most original and renowned photographers of the 20th century, Edward Weston made his first images in 1902 with a Bulls-Eye No. 2 camera. Born in Illinois, Weston moved to California in 1906 and began to earn his living in photography by doing house-to-house portraiture. In 1911, he opened a studio in Tropico (now Glendale). Weston was an active exhibitor in salon shows of the period but he became increasingly dissatisfied with his soft-focus, pictorial work. An exhibition of modern painting he saw at the 1915 San Francisco World’s Fair had a major impact on his photographic vision. By 1922, Weston had reached a turning point in his work. That year, on a trip to the Midwest, he photographed the Armco Steel plant in Ohio using a direct, sharply focused, strongly composed style. Later in his life he destroyed many of the negatives he had made before 1922, wishing to preserve only his non-pictorial work and base his reputation on it. Once he found his own style, Weston advocated “straight” photography. He painstakingly composed the final image on the camera’s ground glass, sometimes devoting an entire day to make a single exposure. Aside from minor controls in the darkroom, he did not manipulate his negatives. His darkroom equipment was a testament to simplicity: a simple contact frame, a light bulb, and chemicals were all he needed to produce prints of the highest quality. Weston’s lifestyle was simple, due as much to his ascetic values as to his meager income. 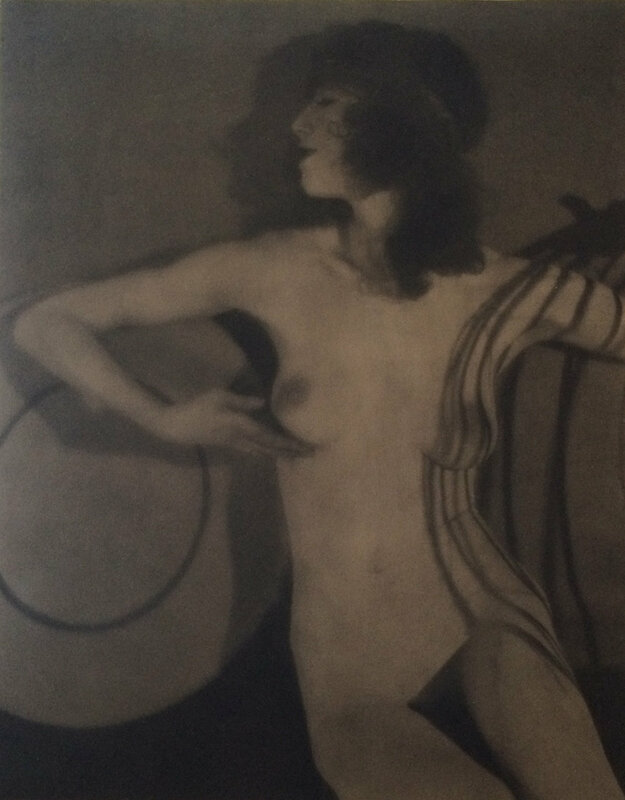 His reputation began to form as early as 1925, though his photographs never sold well – not even when they were offered in 1932 for two dollars apiece. 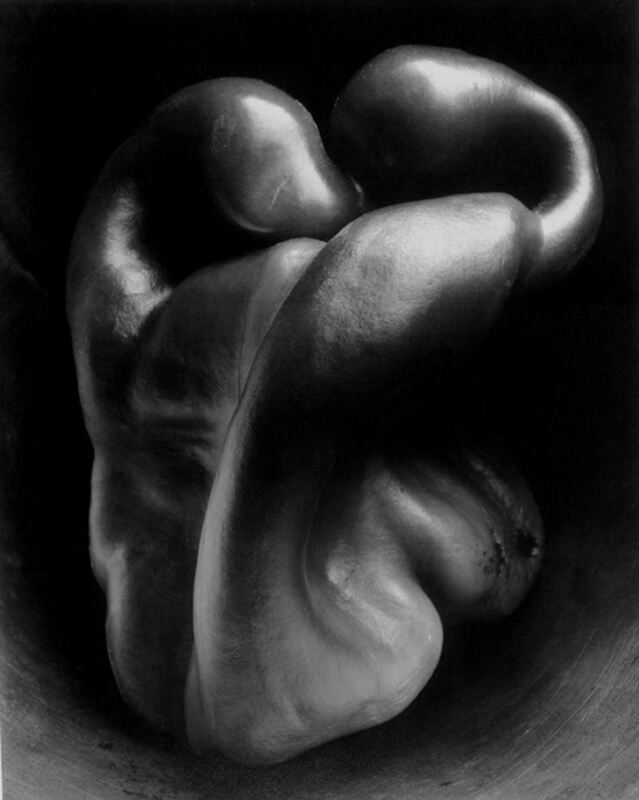 In his lifetimes, Weston’s best-selling image was Pepper No. 30; according to his records, only twelve copies were sold. In 1937, Weston received the first ever Guggenheim Fellowship awarded to a photographer; with it, he had the financial freedom to travel and photograph in California, Oregon, Washington, and the Southwest. Fame came to Weston late in life. He was the subject of a film, The Photographer, in 1948 and in 1946 curator Nancy Newhall mounted a major exhibition of his photographs at the Museum of Modern Art in New York City.